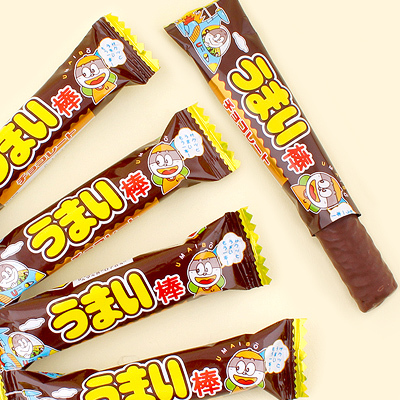 These delicious chocolate coated crisps 'Jagachoco' are here to give you an all new taste experience! This odd snack combines the savoury, salty flavours of ridged potato chips with the sweet, smooth taste of premium strawberry flavoured milk chocolate. 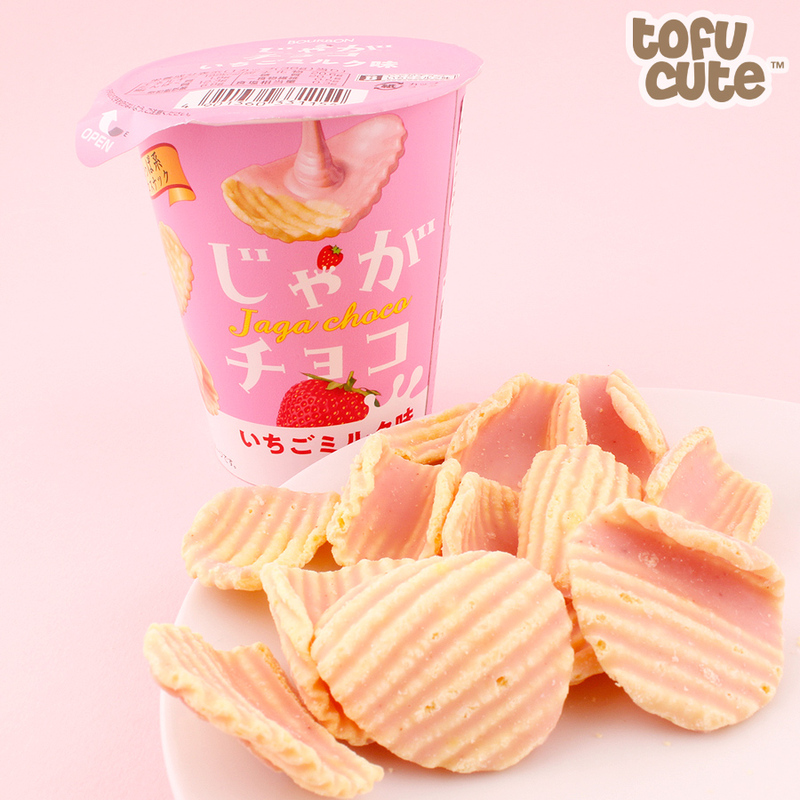 The potato chips look as though they have been thoroughly 'dipped' into the super cute pink chocolate, as the chocolate completely covers all the ridges of the potato chip and forms a snack made of two layers that collide (in a good way) with opposite textures and tastes mixed together. It's definitely one of the most unique snacks you can try on our online shop at the moment, so why not give it a go?